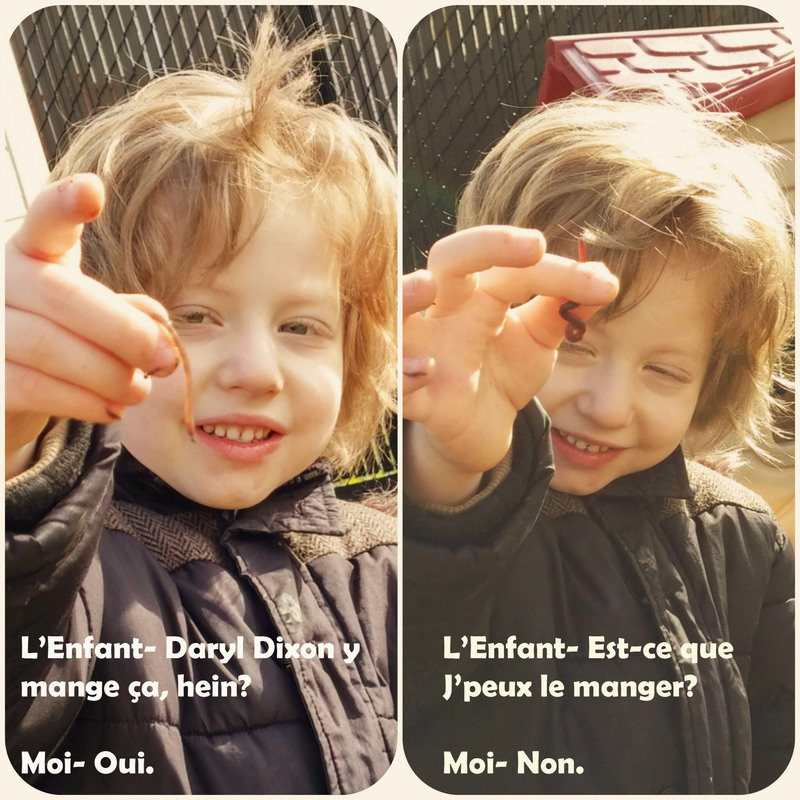 This entry was posted in Conversations, Famille, Parenting and tagged Daryl Dixon, dialogue, enfant, humour, maman, repas, The Walking Dead, ver by Jules. Bookmark the permalink. Au secoooours !!! Looool !